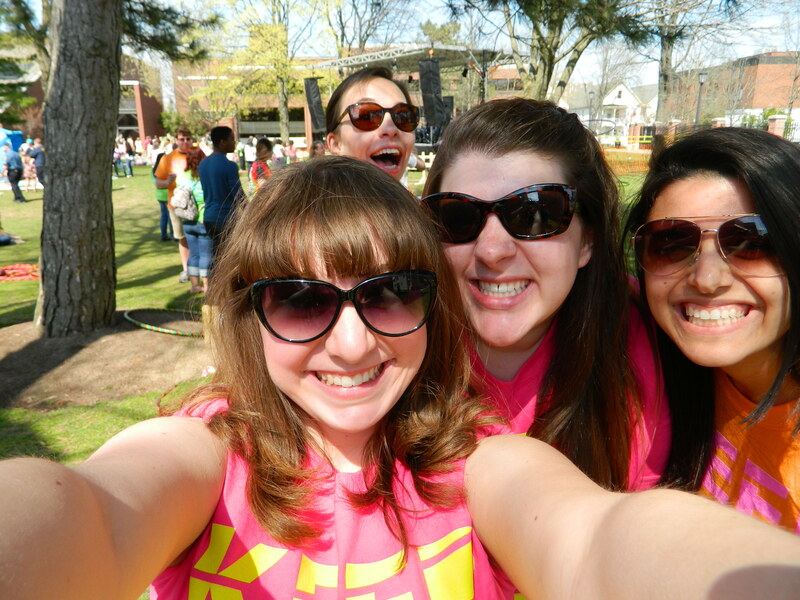 As this academic year comes to a close, I’ve thought back on the time I’ve had at Saint Rose as a junior and the different types of experiences I’ve had. Junior year, in my opinion, is a year of transitioning. I’ve grown so much from the experiences I’ve had and the lessons I’ve learned; I wouldn’t be the person I am today without them. So, to end my junior year of blogging, I’m going to make a list of the things I’ve learned throughout this entire year. Sometimes, you have to make hard choices. Throughout this semester, I’ve had to make hard choices that have not just affected me, but have affected others around me. Yes, I had some roommate issues. Yes, I had to quit the Golden Notes due to work related conflicts. But if I hadn’t made those hard decisions, I wouldn’t have been healthy and wouldn’t have been able to succeed like I have. 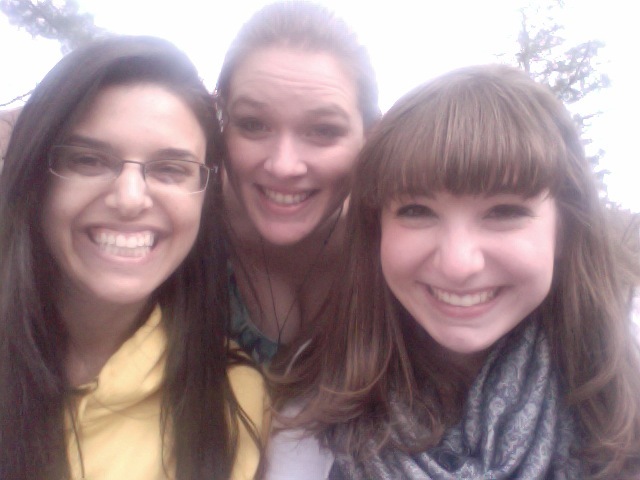 Because my old roommates and I worked out our problems, we now live separately but still see each other almost every day. I am still a strong supported of the Golden Notes, and have been able to do well with my various jobs and other commitments. Sometimes, you have to make a hard choice; but in the end, everything works out for the better. 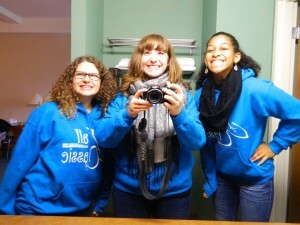 You have to do what is best for yousometimes, and that’s ok.
Me, Lauren, and Hazell having fun at Fall Classic, which occurred earlier in the year. Communication is key to any relationship. As a Resident Assistantand as a person in general, I’ve noticed how important communication is. No matter what relationship you have with another person, – romantic, work, friendship, or roommate – it is very important to keep an open line of communication. SOO much can get lost otherwise. I have made it a point to always let people know what’s on my mind, and to respond to people as quickly and as efficiently as possible, and I’ve tried to share that philosophy with others. It really does make a difference, I promise! My friends Lauren, Gabby, and Kaylee and I enjoying Rose Rock! 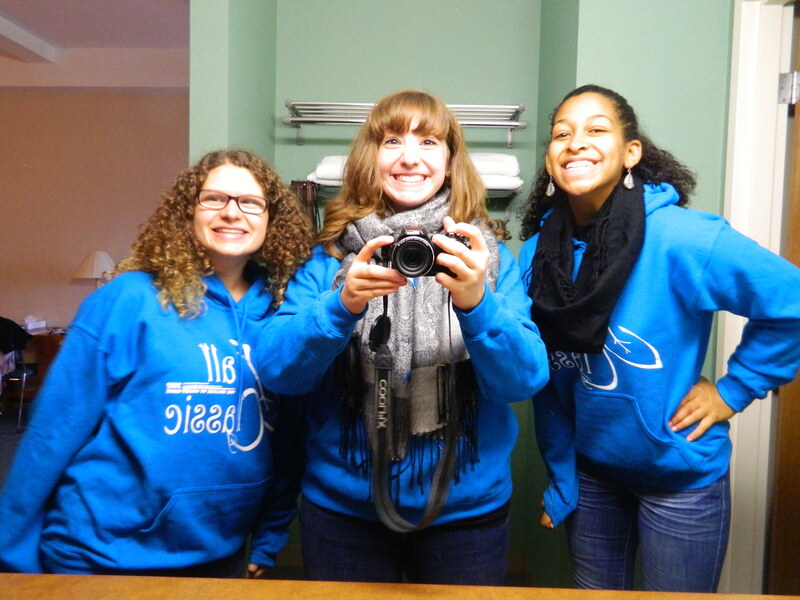 The Three Music Ed Amigas – Audra, Gabby, and myself! I wouldn’t have been able to survive this semester without them! Hard work pays off. This year is a prime example of why hard work pays off. Between my work in elementary and secondary methods, my work at getting Honors Convocation a second time (being selected as the best of the convocation performers to perform a second time), and, most importantly, winning the Saint Rose Concerto Competition, I can safely say that the hard work and dedication that I’ve put into everything has paid off. 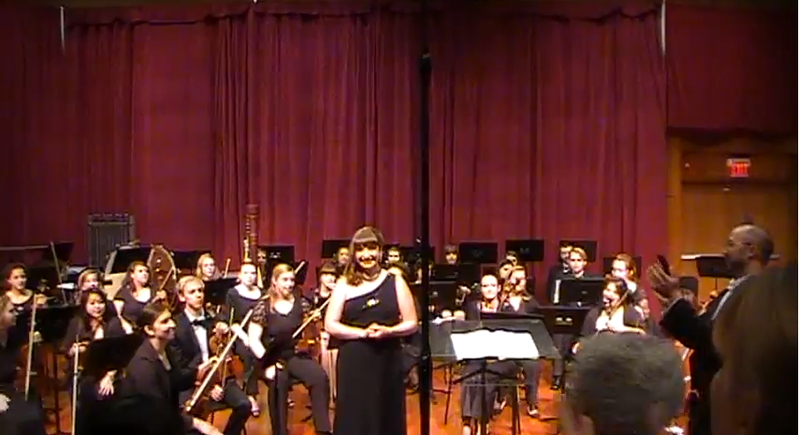 This past weekend, I was able to live my dream and be able to sing “Knoxville: Summer of 1915” by Samuel Barberwith the Saint Rose Orchestra. It was such an amazing experience, and I am so blessed to have been able to win that opportunity. I competed against some of the best musicians at the college, and to be able to say I won and have been able to perform on that level just proves that good things come to those who wait. I am so grateful for all of the amazing opportunities I have gotten this year, and I am so excited to continue to pursue challenging opportunities and continue to succeed. 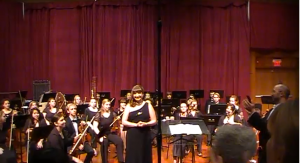 Me standing with the Saint Rose Orchestra after singing “Knoxville: Summer of 1915”! I was so happy in that moment and so proud of my accomplishments! Screen shot taken from the YouTube video of my performance. Next semester, be on the look-out for my new blog series: “Student Teaching – from the Student’s perspective!” Have a great summer, everyone!